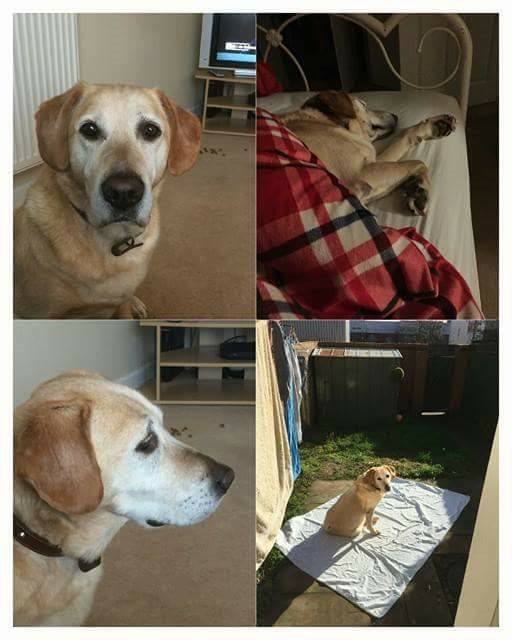 First is Prince a male golden Labrador aged 9 who will be 10 this March. Prince is looking for a quiet forever home. Poor Prince has had a lot of changes in his life recently. He has moved from Greece, swapping owners to being with 6 children to living outside. Prince is now in foster with us and looking for his quiet retirement home. He does not like the hustle and bustle of a busy household. Any children should be 14 plus. Dogs – yes but must be calm and Staffordshire Bull Terrier size or larger. Prince likes his own space when sleeping and does not like to be startled.He needs a home that will understand he is a grumpy old man and that will allow him to sleep in peace without the threat of being harassed by little people or excitable dogs. He hates being pulled around.